Scientists Think They’ve Found Evidence Of Theia, The Planet That Collided With Us And Made Our Moon « Adafruit Industries – Makers, hackers, artists, designers and engineers! 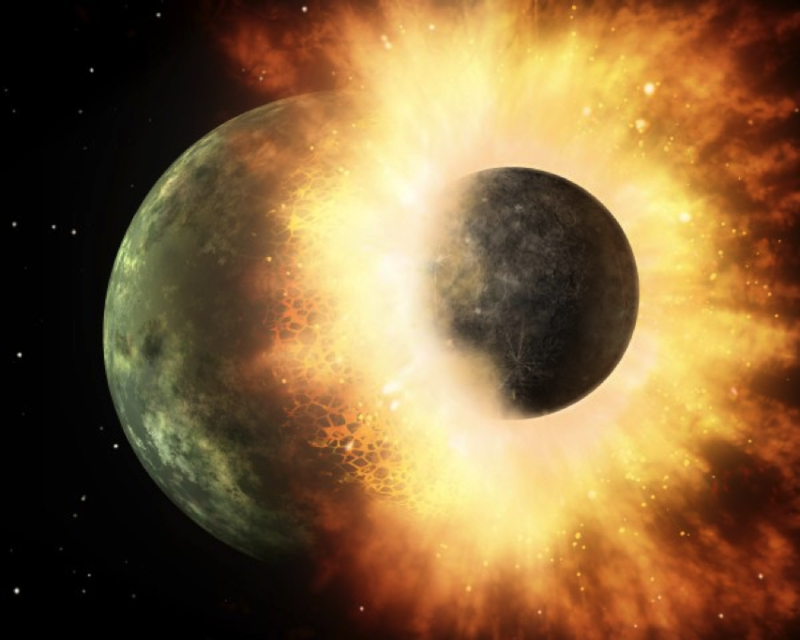 Most astronomy nerds know the story behind the Giant Impact Hypothesis: billions of years ago, a Mars-sized planet supposedly collided with Earth, and the fragments from the crash coalesced to form the Moon. Now new research on lunar samples from the Apollo missions bolster that hypothesis. Hooray for science maybe being right! The study, which was published in Science, scanned samples from Apollo 11, 12 and 16 missions with powerful electron microscopes that weren’t available to scientists when the rocks were first obtained. Looking at the data on triple oxygen isotopes from both Earth rocks and Moon rocks revealed a 12 parts per million difference in oxygen-17 between the two. This supports the idea that a body with a different composition — Theia, which was named after the mother of the Moon goddess Selene — was instrumental in separating the Earth from the Moon.